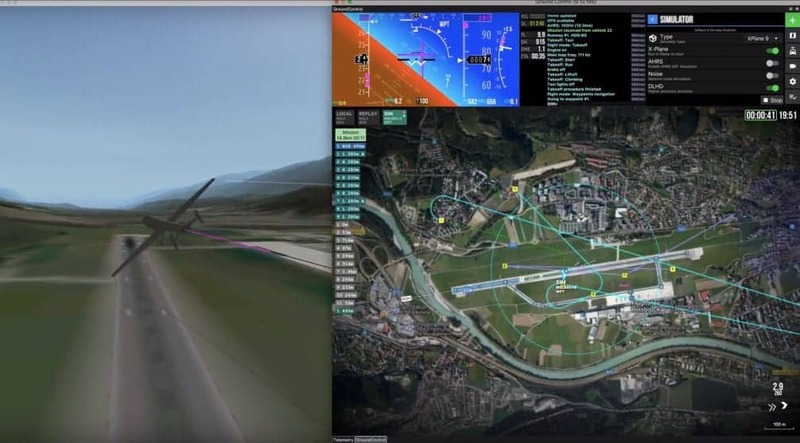 The ground control portion of UAVOS’ automatic control system software can simulate flight in the virtual environment, as well as using the real autopilot (with flight simulator data fed into the autopilot sensor inputs). The accuracy of UAV settings in a virtual environment with a correctly constructed model and correctly entered data is approximately 95%. The final setting of the autopilot is performed during the execution of a special “calibration flight” program (duration approximately 30-40 minutes). An important feature of this function is the possibility of visualizing real-world flights in the simulator, which helps with training and with analysis of flight incidents and operator actions. A demo version of UAVOS’ simulation software for performing virtual training flights with various types of UAV can be found on the company’s website.